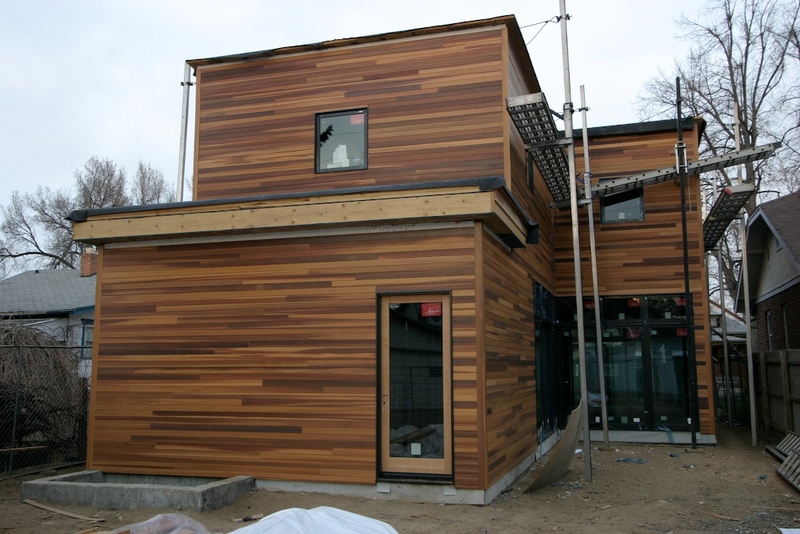 For many months we explored combining different materials on the exterior - mostly stucco and cedar. However, we decided to simplify in order to achieve a subtle more understated look. Ultimately we selected a simple tongue and groove western red cedar board with a very small exposure - similar to flooring in width. We will place this horizontally around the entire house. We purchased this clear smooth cedar from Haida. The boards have been delivered to a local staining house, and we ended up selecting Sikkens “Natural Light” - the lower right-hand sample above.